It's Friday It's Friday! Thank goodness because I have been so dang tired lately and just want to sleep with this dreary rainy weather that has been sticking around. Anyway, I hope everyone has a great weekend and I'll see ya back on Monday! 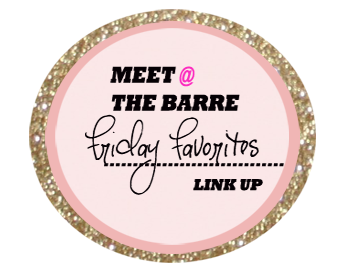 Linking up with Amanda from Meet me @ the Barre and so should you! 2. Have ya'll heard the song by Colbie Caillat- Try? If not please take a moment and listen and even pass on! What an awesome message to send out! Love it! 3. 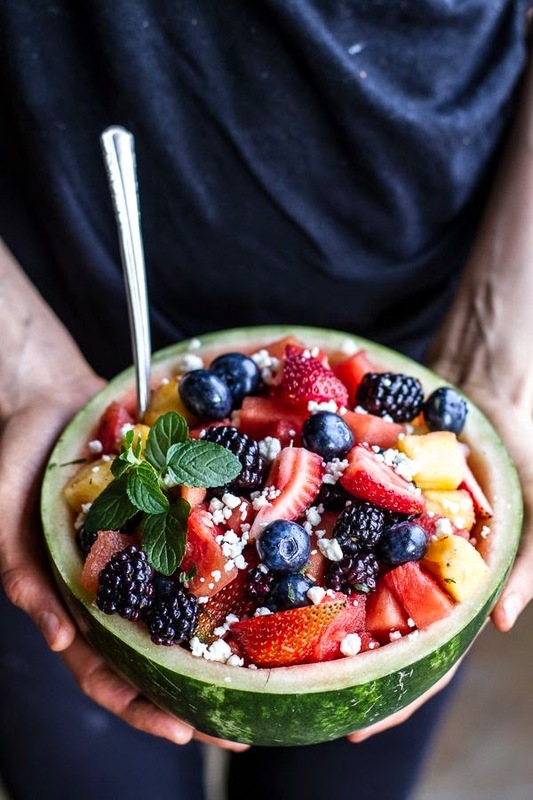 Favorite Recipe: Anything with fruit lately! 4. 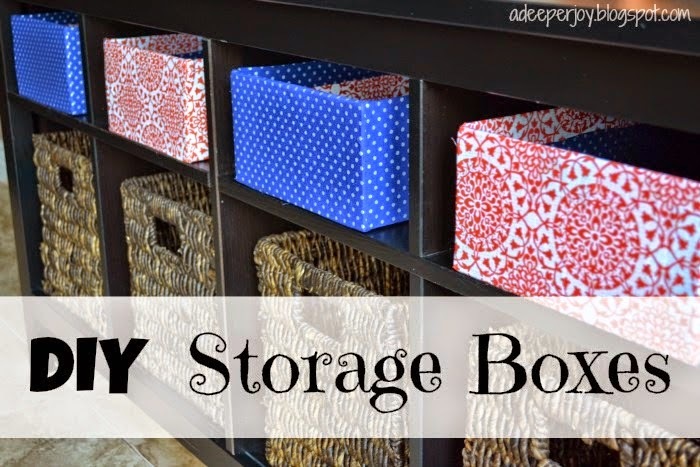 Favorite Craft: Check out Kelli's DIY storage boxes at A Deeper Joy Can't wait to replicate these for our home! 5. Favorite laughs: Had to steal one from Amanda on this one! I literally laughed out loud because I always do the car one! 6. This may or may not have arrived in the mail yesterday! Totally addicted and season one was absolutely fabulous! How did I not watch this before now???! OMG! I love Friday Night Lights. I binge watched the entire series on Amazon Prime over the course of a week or two. It is so good. 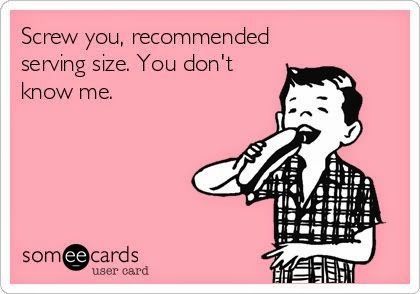 Hahaha obsessed with the serving size Some ECard! SO TRUE! And I can't wait to see Jessica's wedding photos! OMG her dress is amazing! Girl looks gorgeous as always! ok i definitely need to get on the friday night lights band wagon. I love Jessica Simpson, and that Colbie song! perfect. have a great weekend! that e-card had me rolling. SO glad you are loving FNL---THE BEST! JESS! My fellow JS-lover. I cant wait to see her wedding pictures! I love those Somee cards! I do the car thing, too! So funny! Have a fabulous weekend! OOOhhh I have to go pick up that People right now. And I love Kelli and her covered boxes. She did such a good job! LOL at that eCard!! 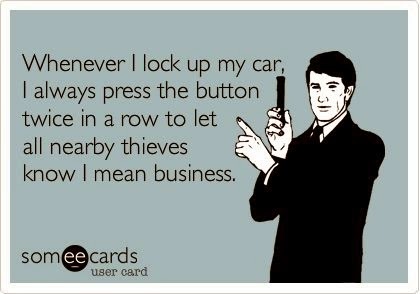 I so do the same thing with my car! Can't wait to see JS Wedding album on people. Her dress looks SO gorgeous! Excellent to BOTH ecards hah. FNL is so amazing - must rewatch that at some point! Have a fabulous wedding! JS looks amazing! Wow I want to read that magazine now! And I have tears in my eyes from watching that video...I hadn't seen it yet. What an AMAZING message. I may totally do a post on that. Thank you for sharing!! Thanks for sharing my DIY storage boxes, friend! :) I just love them!!! And I am SO happy that you love Friday Night Lights! I was obsessed when I was watching them too. It's one of my fave shows that ever aired. I should have gone to be an extra in a shoot! It was filmed in Austin, TX. Jessi, I can't believe you haven't watched Friday Nigh Lights before now! One of my all time favs! I love Friday Night Lights! I started watching it on Netflix and am hooked! Oh I need to go get that People Magazine!!! And I LOVE Colbie Caillat and had not heard this song yet so thank you! Have a great weekend! I cant wait to flip through that people Magazine, she looks so amazing, she really is very naturally beautiful. Have a great weekend! I NEED that People edition like now! Ahhh but it's not as easy to find here unless you visit a train station or airport - must keep my eyes peeled! Love Friday Night Lights! 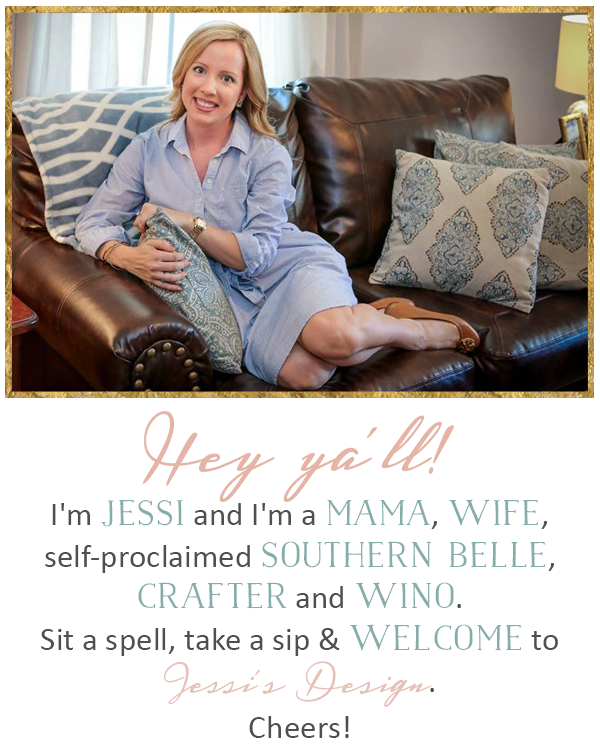 I'm gonna have to read up on Jessica's wedding! 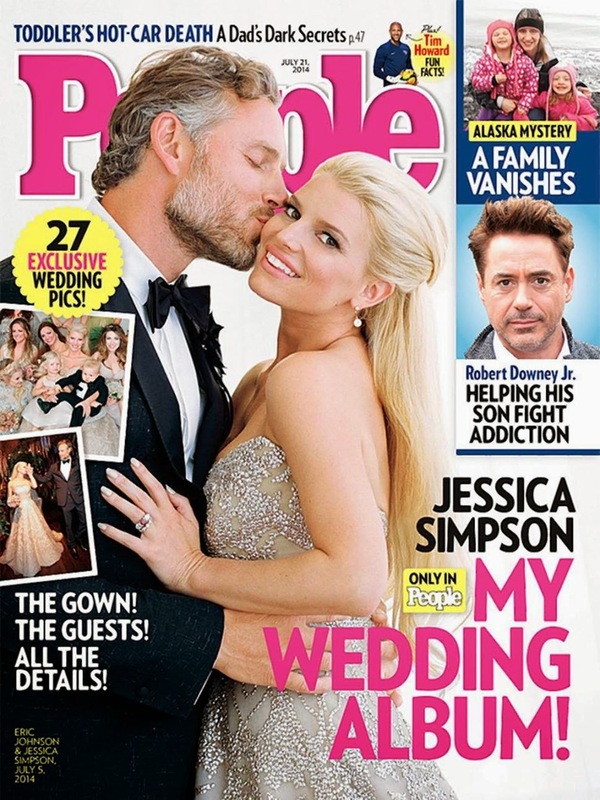 Now it is virtually impossible for me to see an image of Jessica Simpson and not think of you! !